Gator Cases GC Bass Guitar Case LED Edition offers premium guitar protection and unique interior LED light fixtures. Made with heavy-duty molded ABS plastic, this case is impact-resistant and reinforced with aluminum valences to protect the overall structure of the case. 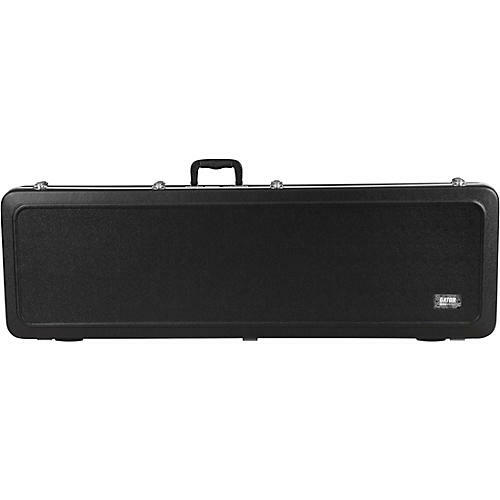 The interior LED light fixture is what makes this bass guitar case from Gator Cases stand out among the competition. As you open the case, the LED light fixture turns on, revealing the storage compartments next to the guitar neck where you can quickly access your picks and accessories. Lower Bout Width 13.8 in. Middle Bout Width 13.8 in. Upper Bout Width 13.8 in.